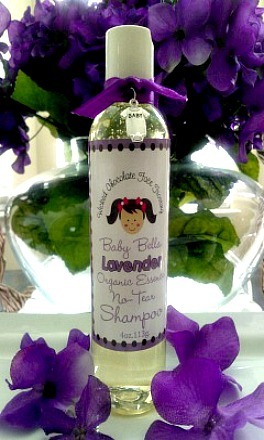 Wrap your baby in silky smooth goodness, with our "Baby Bella Organic Essence Paraben Free Bath Collection. Our Hypoallergenic formulas are mild enough for sensitive skin, enhanced with Vitamin A and E to help retain the natural moisture of baby's delicate skin. 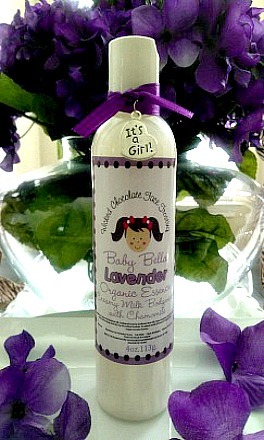 Lather your baby with our silky smooth milky Baby Bella Paraben Free Bodywash, an excellent souce of Vitamin A and D. This creamy pearl like formula allows the milk protiens to smooth already soft baby like skin. This gentle cleanser is enriched with natural derived ingredients like Chammomile,Aloe Vera Leaf and Vitamin E which promotes healing and moisture. 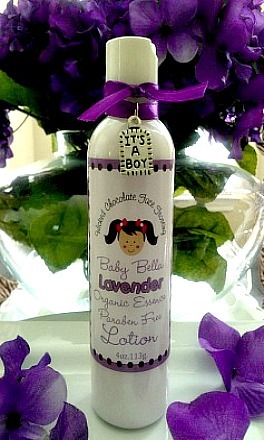 Our unique blends merge Organic Essence of Lavender and Chamomile oils to provide natural balence spa products for your baby.